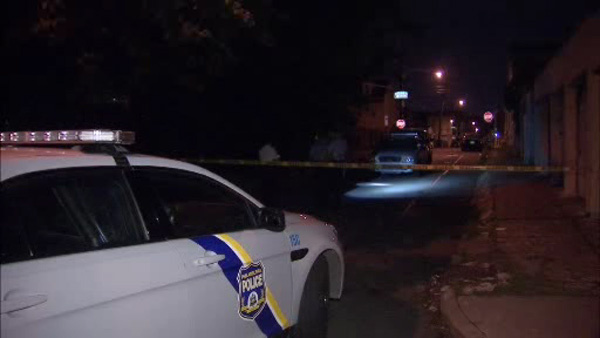 FRANKFORD (WPVI) -- Philadelphia police are trying to determine who shot and killed a dog in Frankford. Police were called around 10 p.m. Monday to the 1800 block of Womrath Street for the report of multiple shots fired. Arriving officers found a large pit bull had been shot multiple times. Police say there was a large chain around its neck with a 6-foot leash. It's not clear at this time who shot the dog.